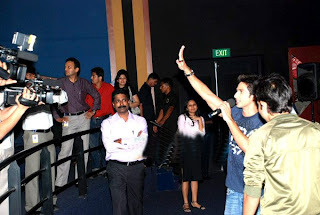 Mumbai: 'Kaminey' star Shahid Kapoor is in demand post the release of his film recently. 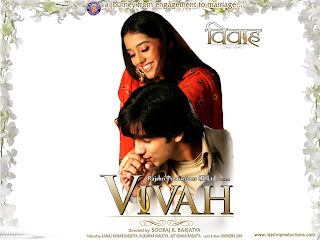 The movie seems to have done extremely well at the box-office and rating of Shahid has also gone high as an actor after his performance in this film. When quizzed about his lookout for a partner he retorted that the media already has a buffet of girls for him. And if he prefers to be a 'Kamina' to get a girl he simply said that he will get a girl if he is Kamina but won't get settled. Instead he chooses to be 'sharif' and get settled. Well Shahid as long as you are single the rumours and questions regarding your link-ups will never end. Shahid Kapoor's next with Genelia D'Souza titled as Chance Pe Dance? Ken Ghosh starrer Shahid Kapoor is getting in news each day. Earlier it was Jiah Khan's replacement with Genelia D'Souza. 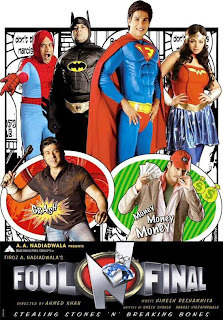 Now it is the change in title of the film for the third time. The title change started from Star to Yahoo and now the film is apparently been renamed as Chance Pe Dance. 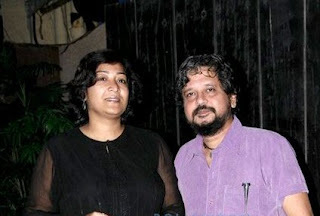 It is learnt that director Ken Ghosh wasn't happy with the earlier titles. 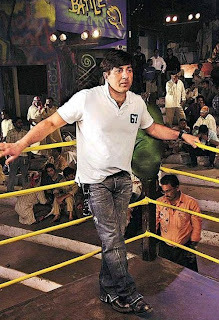 Being a dance-based movie, the director finds this title apt and has finalized for the same. Ken Ghosh says, "We haven't locked any final title as yet. And nor was Yahoo or Star as the film's title. We are still deciding for the same." Has Chance Pe Dance title been finalized? He says, "Not as yet, we will be finalizing it by end of this week." However, a source from UTV maintains, "The promos and poster have been locked on the title of Chance Pe Dance." 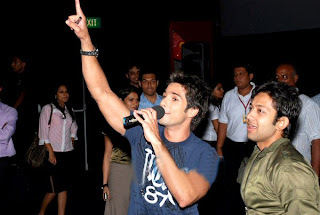 The film stars Shahid as the dancing sensation in the film. It is all about a middle class youngster who goes on to become a music sensation. 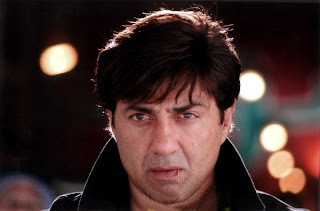 The problem arises when he experiences a misfortune and gets into dejection. Ultimately, he recovers and hits the track yet again. Justin Timberlake's choreographer Marty Kedulka and Britney Spears' choreographer Brian Friedman have trained Shahid for the film. The movie is due to release in November. 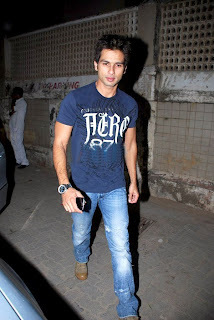 Shahid Kapoor and Priyanka Chopra grace their film Kaminey's success bash at the Vie Lounge. 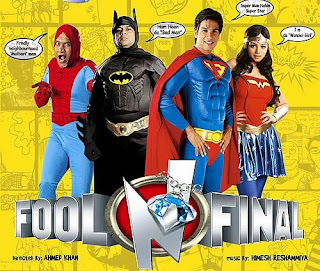 Fool n Final is a Bollywood film released in 2007. 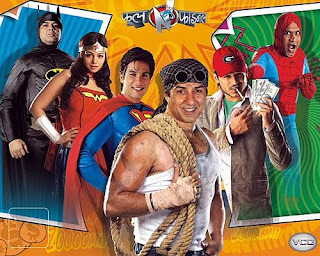 The film directed by choreographer Ahmed Khan has an all-star cast including Sunny Deol, Shahid Kapoor, Ayesha Takia, Vivek Oberoi, Sameera Reddy, Jackie Shroff, Paresh Rawal, Arbaaz Khan and many more. It was released on June 1, 2007. 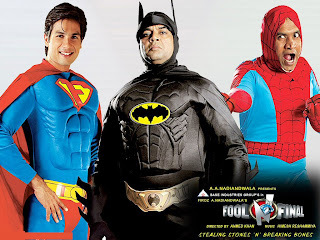 Most of the film was shot in Brazil, Dubai and Muscat.